Decora is happy to showcase a woodgrain sublimation project located at the Toronto Eaton Centre. We sublimated these aluminum extrusions with an elm woodgrain to give them a super durable, no maintenance finish, that looks like real wood. We love this project! The warm wood really backs the Roots lifestyle brand, and gives you an idea of what this Canadian company is all about. 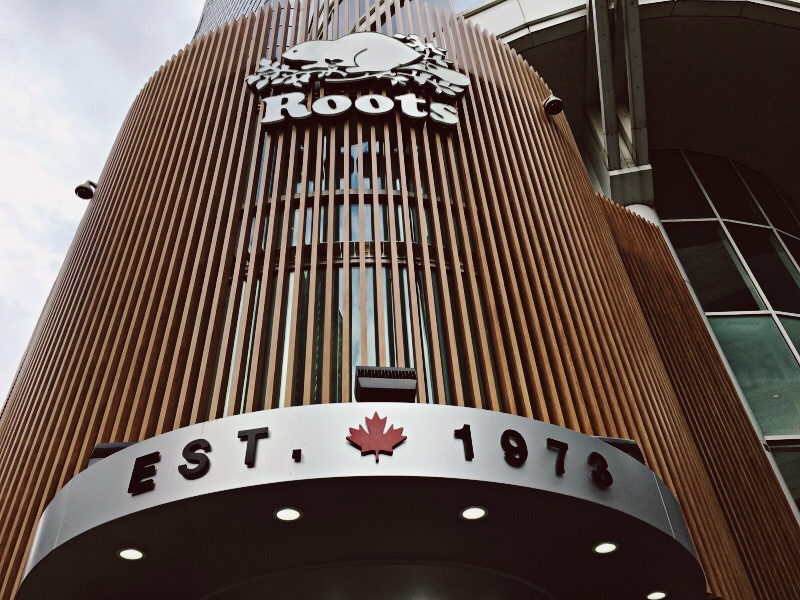 On the Roots website, it states that "Green is more than just the official colour of Roots. It also reflects the company’s longtime environmental commitment, which includes using recycled, reclaimed and non-toxic materials in the building of stores; making sustainable products; supporting various environmental organizations and related projects." We are happy to say that we were a part of their mission to build environmentally friendly. Using powder coating, and woodgrain sublimation, is great on the environment, as its VOC pollutants are negligible, and the process saves trees as well!